Movies are an endlessly interesting way of storytelling. Because, much like oral storytelling, they rely heavily on the narrator to deliver a perspective in time. Regardless of what the details of the story are, colour choices, setting, actors, and dialogue can all aid in creating a distinctive rendition of what has been delivered before. Mira Nair is an Indian American filmmaker who typically focuses on international films which depict Indian culture in a positive light and she got her start making documentaries – some of her more well known films are Mississippi Masala, The Namesake, Monsoon Wedding, and Salaam Bombay!. Nair has been involved in activist projects for a very long time. She even set up an annual film making workshop aptly called, Maisha Film Lab in Kampala, Uganda, which translates to life. For over ten years, young directors in East Africa have been given opportunities to learn film techniques with an emphasis on telling personal stories. Maisha is currently building a school. I mention these details because Queen of Katwe is Nair’s first film set in Africa. Or is it? Now she has directed films about other cultures previously (read:Words with Gods, Vanity Fair, and The Perez Family), but this is also the first Disney production she has been involved with. 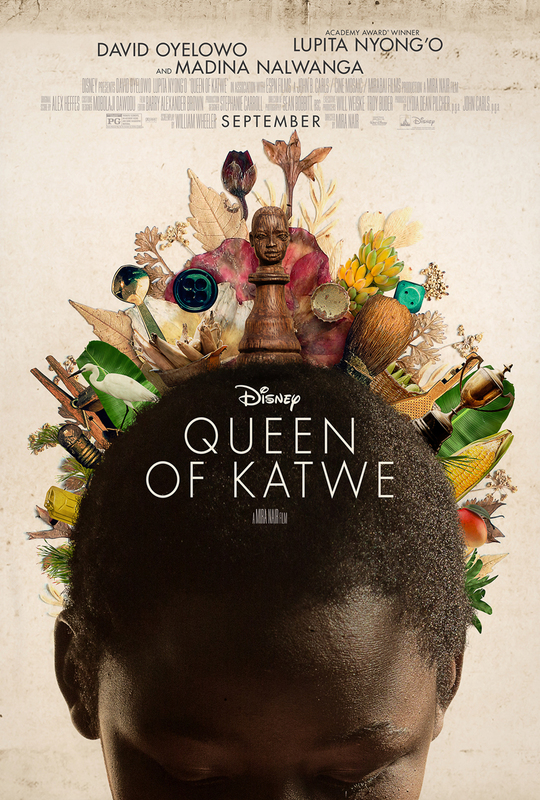 Living in the slum of Katwe in Kampala, Uganda, is a constant struggle for 10-year-old Phiona Mutesi, her mother Harriet (Lupita Nyong’o), and her family. Her world changes one day when she meets Robert Katende (David Oyelowo) at a missionary program. Katende coaches soccer and teaches children to play chess. Curious, Phiona approaches and learns the game. She becomes fascinated with it and soon becomes a top player under Katende’s guidance. Over several years, her success in competitions and tournaments leads to greater competitions, stress, and identity issues. Phiona must learn more than the game as she is exposed to life outside Katwe. Her education, both formally and informally, continues as she dreams of escaping a life of poverty for herself, her mother, and her siblings. This is a perfect example of a triumph over adversity tale, and it doesn’t follow all of the usual beats despite containing a similar tone. The authentic experience of Phiona, her family, and friends allows us to engage with the story much better and definitely brings in some feels towards the end, especially when her sister Night finally comes home, and when Kampala experiences a flash flood. The final heart string pull comes with the credits. In what I would describe as a rare instance of showing the real people that inspired the film, Nair brings in these people to meet the actors who portrayed them, and it’s heart warming in a way that you’d expect from Disney. Pros: Yes there are a lot of cliches embedded within the framework of the story, but all of the subversions more than make up for it, and the feelgood element is hard to pass up. Madina Nalwanga is a bright star, and portrays her role with integrity, grace, and humour. And man is it cast well – top to bottom. Cons: I struggled with the title “Queen”. Realizing it was intended as a play-on-words about chess, but seeing it moreso as an acknowledgment of Disney princesses, though these characters are experiencing real world poverty. Sometimes the pacing is too gentle for the weight of it’s cast, supporting members included. Points of Interest: So I lied, kind of. Mira Nair adapted Queen of Katwe into a film after making a documentary about the life of the man who trained Phiona Mutesi, Robert Katende. But that’s pretty cool right? In short this is brilliant little film about a young woman with an innate ability to play chess which is slowly developed to the point where she can compete with master level players. While it isn’t innovative in the story it presents, the sum of its parts are what makes this story worthwhile for a viewing. The presentation, the lead, and the setting are all well done. Phiona’s story is presented in such a mainstream way to get more access to the incredible triumph of her life. But that isn’t necessarily a bad thing. 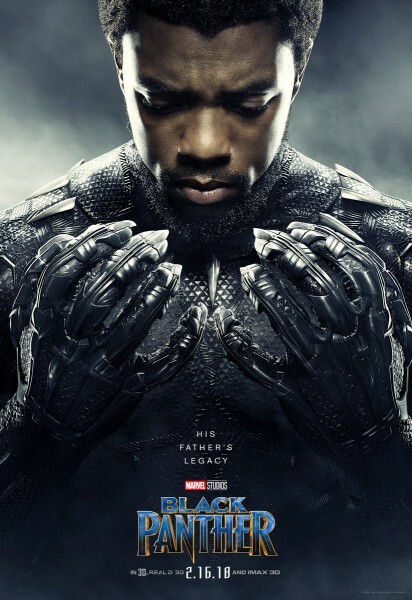 Because I keep saying over and over, this is a story we’ve heard over and over, and yet it isn’t because a story of a young black African woman achieving an intellectual result is a rare thing to witness in mainstream cinema. The fact that Disney pushed this through warms my heart even moreso than what I watched, and that IS a good thing. I hope they continue this trend, and that’s my theory for the day.